Magnolia, Mass. is a small seaside town on Cape Ann. 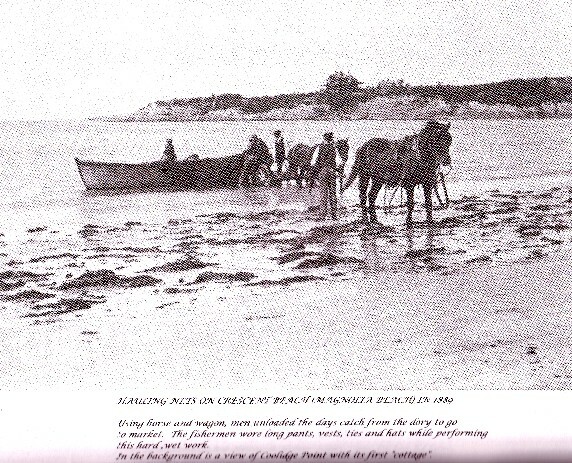 Early in it's history, Magnolia was a fishing and lobstering village. 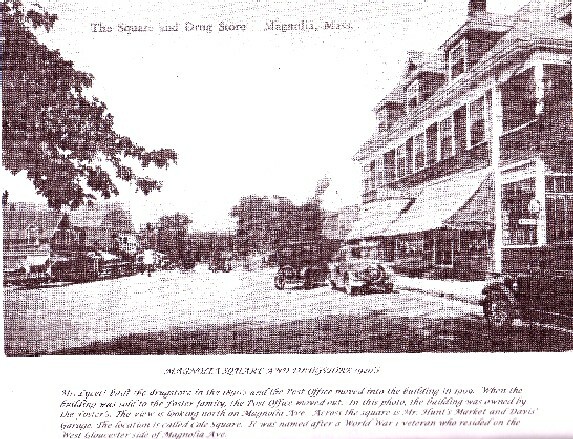 The elite of the Boston society found Magnolia in the early 1900s. Once the summer home of major political and business leaders, the money and influence of Magnolia peaked in the 1920s. For Tim, the focus of Magnolia is the 3 houses at the corner of Shore Road and Hesprus Ave. Having been vacant and allowed to run down for decades, Tim's grandparents, Wilfred and Marion Ringer, bought the large corner lot and buildings in 1944. The Main House is a two story, built by a sea captain in 1804. To the left of the Main House was a 1920s bath house that was converted into a summer cottage by Tim's parents. The 3rd and smallest house was a late '40s pre-fab that was moved there by Tim's grandparents in the early 1950s. The following pictures follow the houses through their renovations. Tim and his sisters Marcia and Alison spent every summer between 1944 and 1958 in Magnolia with their grandparents. 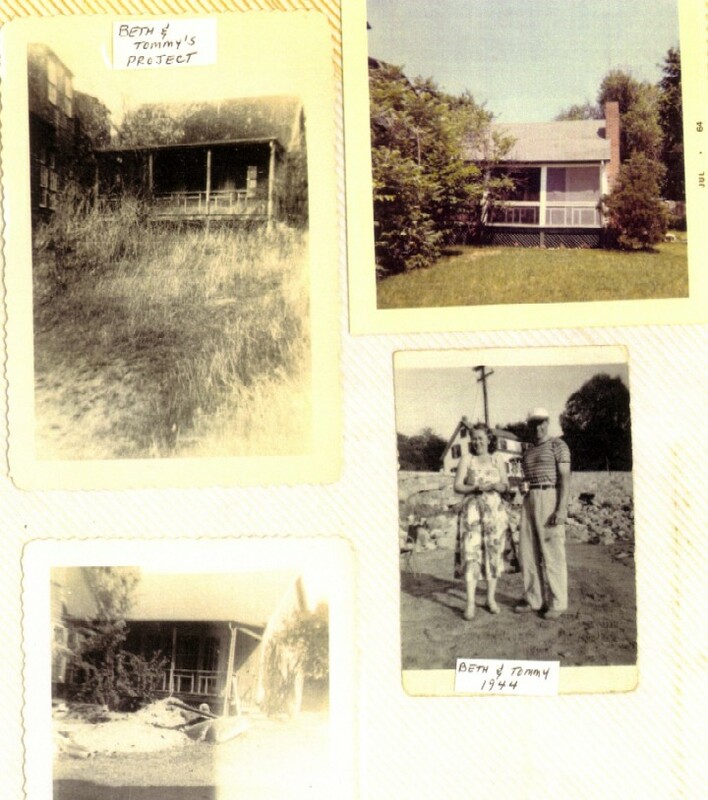 The property was sold by the family in the mid 1960s. The latest pictures show how the property has again been renovated and how it looks today. 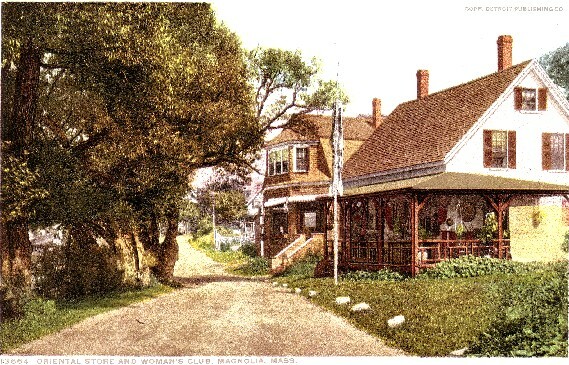 This is the Big House as it appeared sometime in the late 1800s. 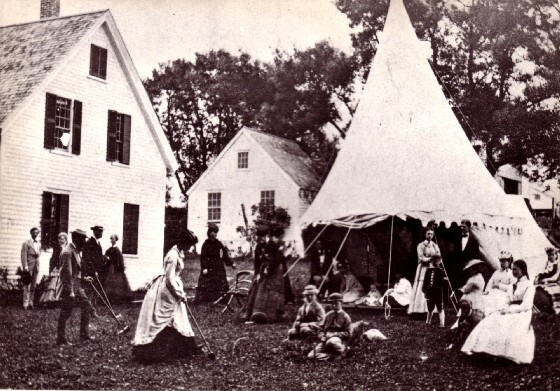 Early 1900s lawn parties were held on the spacious corner lot. Sometime in the late 1920s, a large veranda was constructed on two sides of the house. It is believed that at that time, the house was used as a "Japanese Tea House". Tim remembers the ramains of this porch when he first saw the house in 1944. 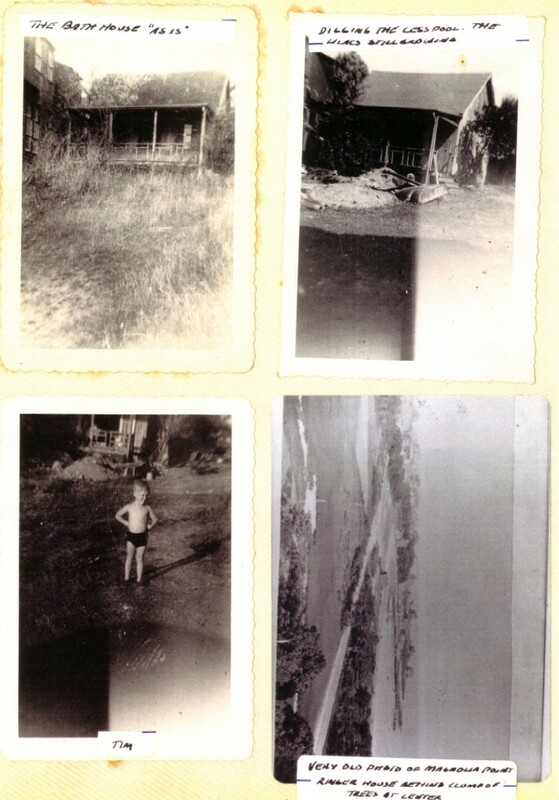 The pictures above have been scanned from an old photo album. dormer which allows two more bedrooms to be added to the second floor. During, and After of converting a delapitated bath house into a livable summer cottage. Beth and Tommy are Tim's parents. The picture on the left is Tim at age 5 in 1945. 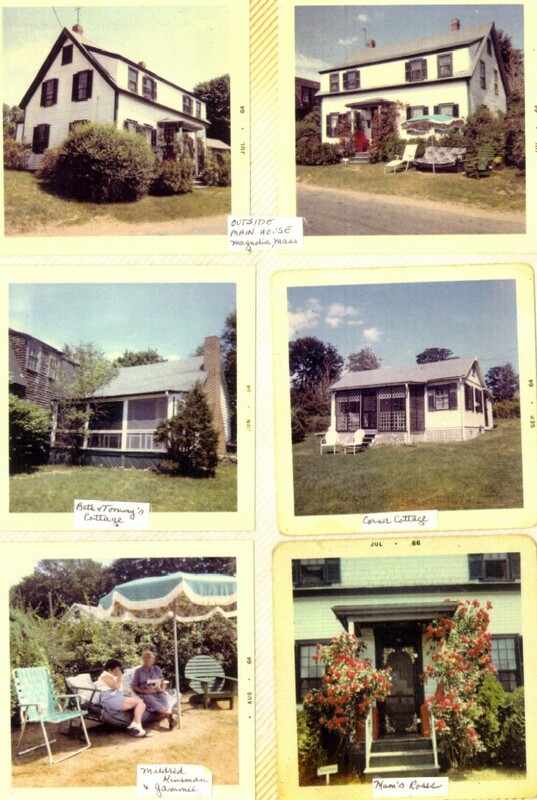 The pictures above show the Ringer/Moran houses in their prime in the late 1950s and early 1960s. These next pictures show the houses as they are in 2004. All 3 have undergone extensive renovation and remodeling. a sheltered entrance has been added to the right side of the house. These bricks, outside the back door were laid by Tim's mom in 1945. 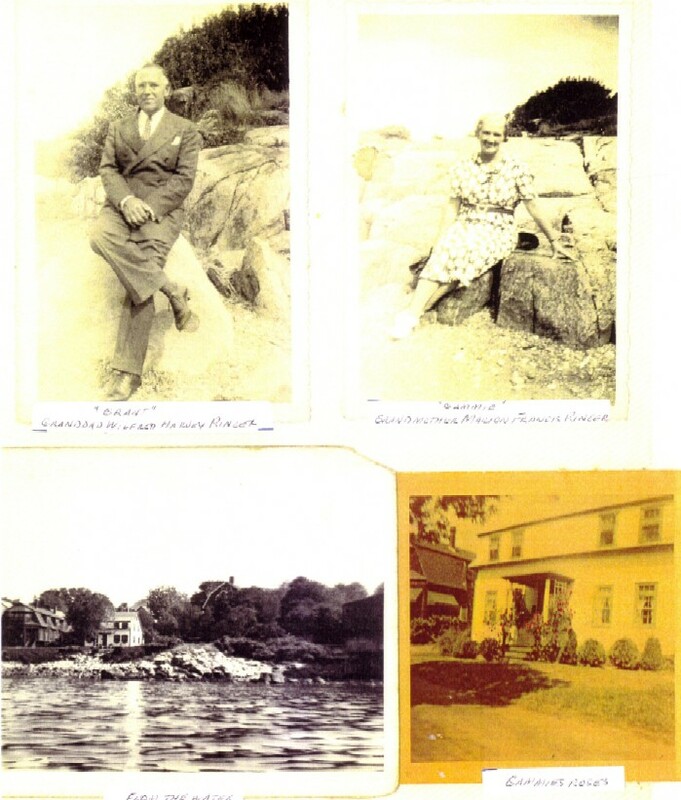 During their summer visits, the Moran kids played on two rocks on the beach in front of the Ringer house. Although "Flat" has been broken up by abusive wave action during storms, most of it is still there. "Pointed" is still there, just exactly as it was 60 years ago. The Cannon family lived in this house when Tim and his sisters were growing up in Magnolia. and the tall buildings of Boston (on the left horizon) are 24 miles away. Downtown Boston, 24 miles away. A local's collection of lobster pot bouys. Undoubtedly scavanged from the beach after storms. One of the main buildings of the Magnolia town square as it is in 2004.
and window on the right. He and his family lived upstairsS. 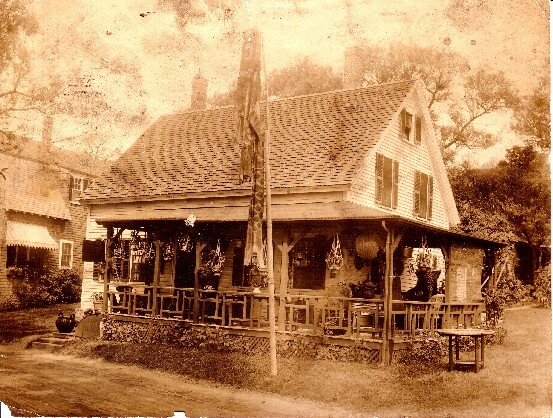 The building now houses an Italian restuarant and pizza parlor. soda fountain must never be moved from the building. sliding their pennies scross the counter to pay for ice cream cones. It's just the same as it was 50 years ago. 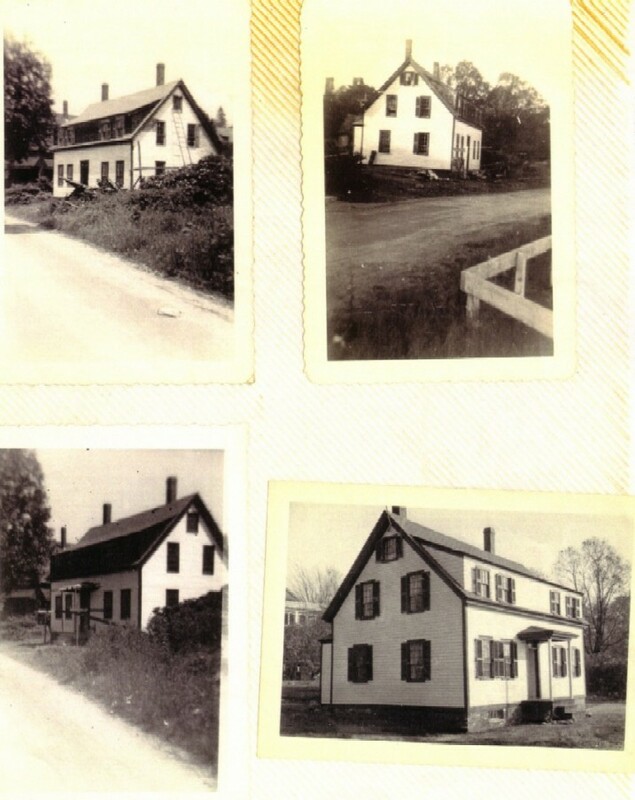 In the early 1950s, this was a one-room school. Tim and Marcia went to this school for a few months one year. Miki is about to have her first REAL back-east fried clam dinner at Woodmans. This calendar picture is dated 1889. If you look closely at the "notch"
panorama below by using your right arrow to pan the picture below. and the beach where Tim and his sisters used to spend their summers. 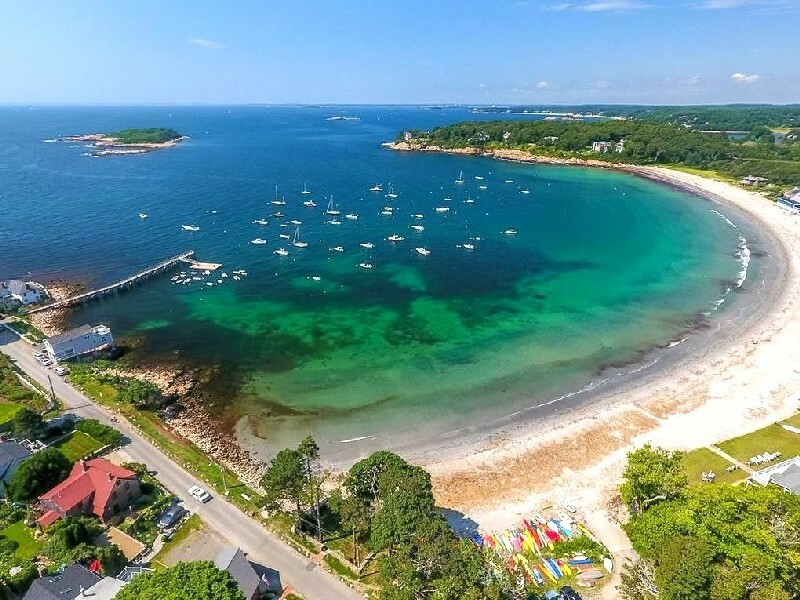 HERE is another view of Magnolia Beach. My grandparents house is in the lower left corner (with the red roof). of the happiest times of our lives. A tough place to have to grow up, Huh ?